COLUMBUS, Miss. — At the end of his sophomore year, Damonta Morgan left Clarksdale High School as one of its top students. He transferred to The Mississippi School for Mathematics and Science, hoping for more challenging courses to prepare himself for college and a career as a biology professor. Years of attending struggling public schools in a rural Delta town of 18,000 along the Blues Trail left Morgan with holes in his math and science education that are common throughout the state. Similar gaps pose a major roadblock for Mississippi’s students, whose scores on national science exams are among the lowest in the country. Mississippi’s students lag on state science tests as well. During the 2011-12 school year, only 54 percent of fifth-graders and 57 percent of eighth-graders scored proficient or advanced. 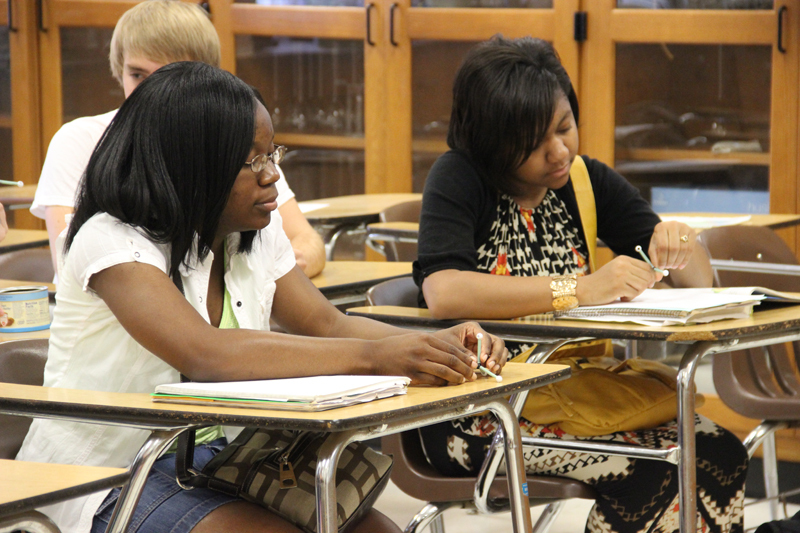 Just 59 percent of high-school students met or exceeded state requirements in biology. The consequences of a lackluster education in math and science are dire in a state with the nation’s highest unemployment rate among young adults. Only 62 percent of Mississippi’s students graduate from high school within four years—far below the national average of about 78 percent. Of those who go on to college, just 10 percent earn a degree in STEM (science, technology, engineering and math) fields, according to the U.S. Department of Education. Yet within the next five years, an estimated 46,000 STEM-related jobs will become available in Mississippi, and most will require a two- or four-year college degree. Between 2001 and 2011, the number of higher-paying STEM jobs in Mississippi increased by eight percent—a notable amount in a state where the median wage is only $38,000 a year. Schools like MSMS and the brand-new STEM Academy at Gulfport High School see themselves as a potential solution, and have been gaining popularity—and attention— across the United States. “The science and math piece is big with all the construction going on on the coast,” said Mike Lindsey, principal of Gulfport High School, where the new STEM institute opening this month will work with business and industry to train students for jobs in the state. Pascagoula is opening a college and career technical institute this school year with seven academies, one of which will be devoted to STEM. The academies will serve a total of 700 students in grades 9-12 and were designed around local needs in the healthcare, energy and manufacturing industries. The shortage of educated STEM graduates in Mississippi is worrying. The state is currently unable to fill jobs in healthcare; it needs more nurses and has the nation’s largest shortage of doctors. A career as a physician requires intensive training in science and math, and pays an average of $236,000 a year, according to U.S. Department of Labor data. If more Mississippians qualified for STEM careers, they could help close the income gap that separates them from the rest of the country, said Steve Suitts, vice president of the Southern Education Foundation, a public charity pushing for educational excellence and equity in the South. Mississippi’s median income of about $38,000 per household pales in comparison to the national average of $52,000, and the state has the country’s highest percentage of children living in poverty. The need for more-qualified job applicants in Mississippi is so great that businesses have started investing in STEM initiatives. Ingalls Shipbuilding, a major employer in southern Mississippi, awarded nearly $110,000 this year to programs aimed at improving STEM education and increasing student interest in STEM fields. Lockheed Martin, the world’s largest defense contractor, has half a dozen locations in Mississippi and gave more than $20,000 in scholarships to 15 students during an annual spring STEM competition in Jackson. 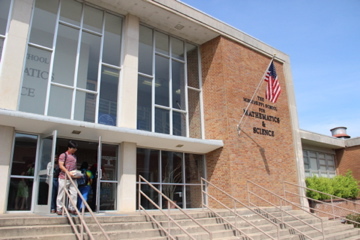 The Mississippi Department of Education is investing as well. In June, five Mississippi school districts, including three on the coast, received grants totaling $955,979 to upgrade equipment and improve engineering courses. The state has also been helping schools expand offerings through its STEM Cluster program, which focuses on preparing students for jobs in major industries, like engineering, plastics manufacturing and energy technology, near the 33 participating schools. Ingalls Shipbuilding president Irwin Edenzon said his company invests in STEM education to create a stronger pipeline of high-school graduates who are well grounded in STEM skills. “We certainly have identified a gap between the requirements we have for that STEM foundation, and the number of applicants who have that foundation,” said Edenzon, noting that all positions at Ingalls require a solid understanding of math, science and technology—even those in welding and electric work that don’t require bachelor’s degrees. There are many reasons why so few students in the state are prepared for STEM jobs. At Clarksdale High, where 95 percent of students are eligible for free or reduced-price lunch and the average family’s income is $24,000 a year, Morgan’s teachers scrambled to prepare students for the state’s biology exam that just 60 percent passed last year. 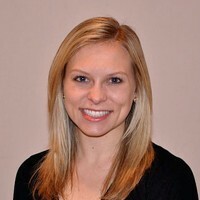 Little time remained for activities like science experiments and enrichment classes, said Morgan, who is headed to The George Washington University this fall. “I wasn’t really getting as much as I should have been getting,” he said. Mississippi’s weak performance in science is even more woeful for black students, who account for 50 percent of the state’s public-school population. An enormous achievement gap persists; last year, 72 percent of white fifth-graders in the state scored proficient or above on the science exam, compared to only 36 percent of their black classmates. The disparities only increase as students reach high school. Black students accounted for a third of all Mississippi public-school students who took a college-level Advanced Placement (AP) science exam during the 2011-12 school year, but just six percent of those who achieved a passing score. Some educators point to a lack of resources as the culprit in the state’s poor science performance. One of every three eighth-graders in Mississippi attends a school with no science lab. Black students are even less likely to have access to laboratories or advanced classes, according to data from the U.S. Department of Education’s Office of Civil Rights. About 30 percent of black students in Mississippi attend high schools that don’t offer physics, while seven percent attend schools that don’t teach Algebra II, a required course for admission to the state’s public universities. Mississippi isn’t the only state lagging behind when it comes to science education. For years, U.S. students have posted abysmal scores on international science exams—a trend the U.S. Department of Defense considers a national security issue. Only 34 percent of U.S. eighth-graders, and just 10 percent of black students, scored proficient or advanced on the 2011 National Assessment of Educational Progress science test. President Barack Obama has pushed for change, challenging educators to create 1,000 new STEM schools over the next decade. Obama has also promised to build a diverse national teaching corps of 100,000 STEM educators, and suggested investing $180 million in STEM education programs in his 2014 budget proposal. Some experts say that the creation of STEM schools may help address a historic underrepresentation of minorities in STEM fields, particularly because some make a concerted effort to enroll unrepresented populations. Sharon Lynch, a professor in George Washington’s Graduate School of Education and Human Development, estimates there are anywhere from 300 to 500 STEM-focused high schools in the country, but there is “great variability” in how schools define STEM instruction. “This is kind of, in an odd way, a grassroots kind of movement,” said Lynch, who studies STEM-focused high schools where any interested student can enroll. Little research has been done on schools that emphasize STEM subjects, but initial studies are encouraging. One study suggests that graduates of selective STEM schools—where student test scores and grades are taken into account during admissions—are nearly 50 percent more likely to pursue STEM majors in college than their peers who didn’t attend STEM high schools. Ohio has experienced so much success with its STEM high schools that it has created a district of STEM schools, spread out across the state. At one such school in Cleveland—where all students qualify for free or reduced-price lunch and three-quarters are black—86 percent of 11th-graders tested proficient or above on the state science test last year, some 25 percentage points above the district average. Lynch says the most successful open-enrollment STEM schools offer curricula that infuse other courses, like English, with STEM concepts. They tend to focus on project-based learning, give students access to advanced technology, and allow them to apply their skills in real-world situations. Whitehead, however, cautions that creating new, STEM-specific schools isn’t enough. “You’re taking kids who are going to do well anyway,” Whitehead said. “The kids who are left at a regular high school, they’re in a place where they’re not getting what they need,” he said. Whitehead wants all students to be exposed to more math and science classes from a younger age and to have access to more advanced classes. “If we want to solve the problem on a long-term basis, we’re going to have to change the mainstream secondary school system,” he said. That is exactly what Gulfport High is trying to do, Lindsey said. Two years ago, the school restructured its sequence of science courses. Now, instead of starting with the traditional progression of biology followed by chemistry, most Gulfport ninth-graders first take physics. Already, Gulfport High has extensive STEM offerings. 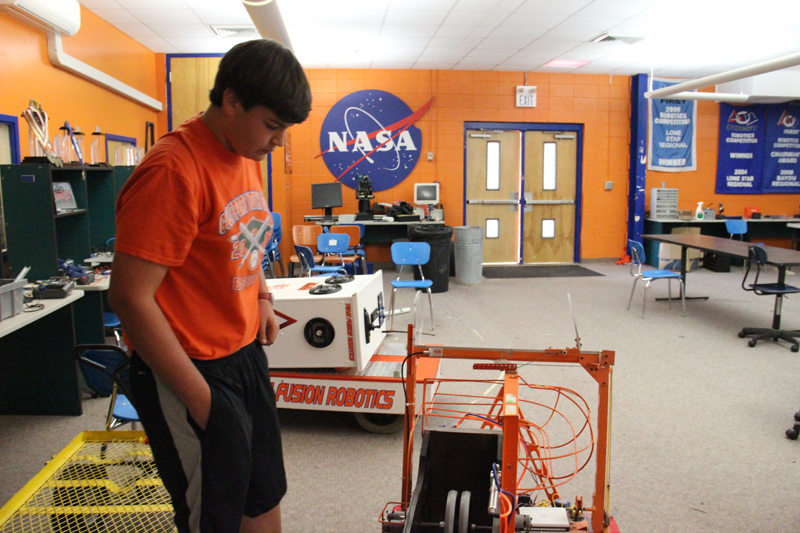 Students have partnered with local professionals, like those at NASA’s nearby Stennis Space Center, to learn skills in robotics and engineering before graduating.